Right now, everything I see, looks like a potential DIY planter! 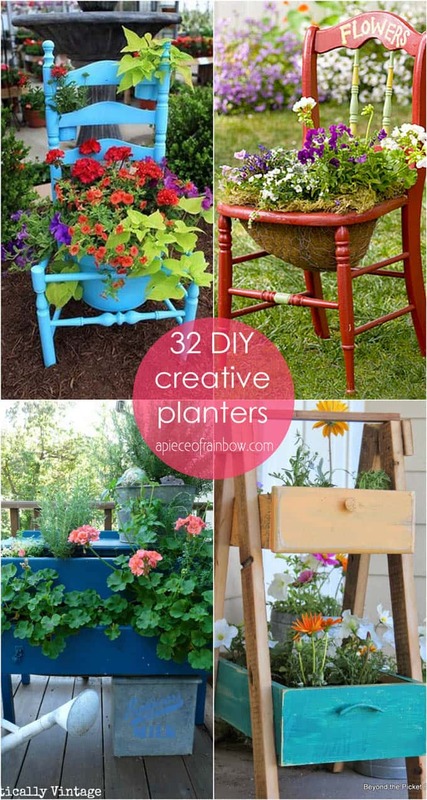 How to create great looking and durable DIY planters from simple materials and upcycled objects. 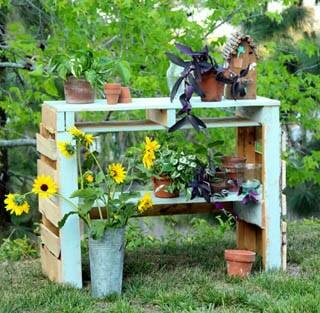 A variety of DIY planter ideas from pallet planters to plastic DIY flower pots! Let’s start with some designer looking DIY planters you can make for less than $10! Group 1: Easy and beautiful wood DIY planters . 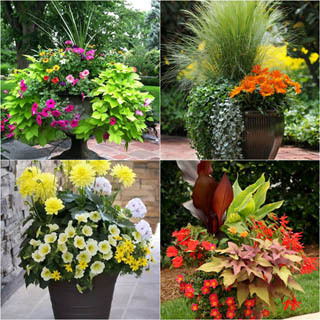 Generic plastic flower pots are durable and cheap, wood planters are beautiful and expensive. Here is how to have the best of both: beautiful and easy DIY large wood planter box for $10 and simple wood planters to cover old plastic pots! 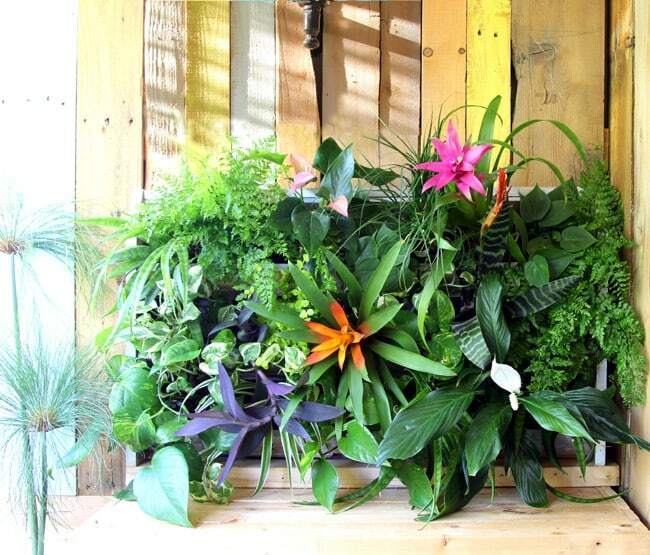 Another designer looking wood DIY planter: a living wall pallet planter! Group 2: How to make outdoor DIY planters from recycled tires. 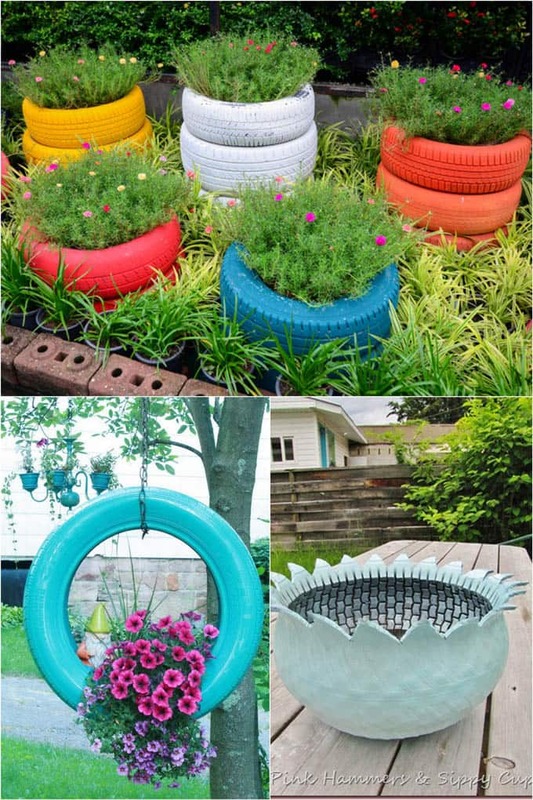 There are many ways to use rubber tires to make large planters for outdoors. 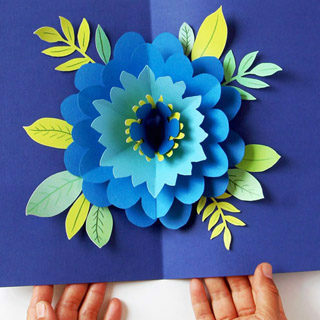 You can stack them up, hang them in a tree, or cut them into flower shape as a lotus planter. 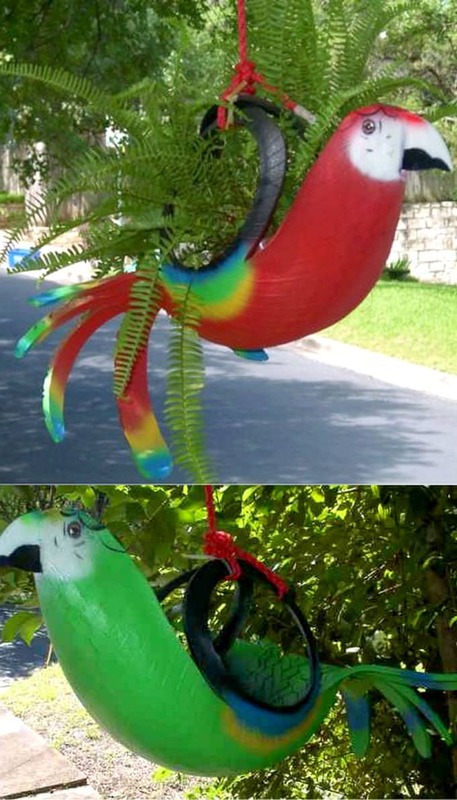 Just a little fearless imagination, we have these giant parrots made from tires! Group 3: Make creative DIY flower pots from re-purposed objects. 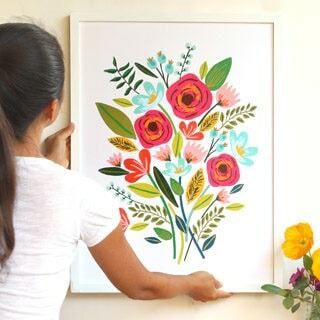 Can you believe these DIY flowers pots are all made from things in our closet! Gardeners always have plenty of used hats, colorful rain boots, shoe organizers, and cute happy purses. Just remember to line the hats and purses with plastic, and add drain holes to all these planters. Group 4: DIY planter ideas from our kitchens. Our kitchens have a lot of planters in disguise! 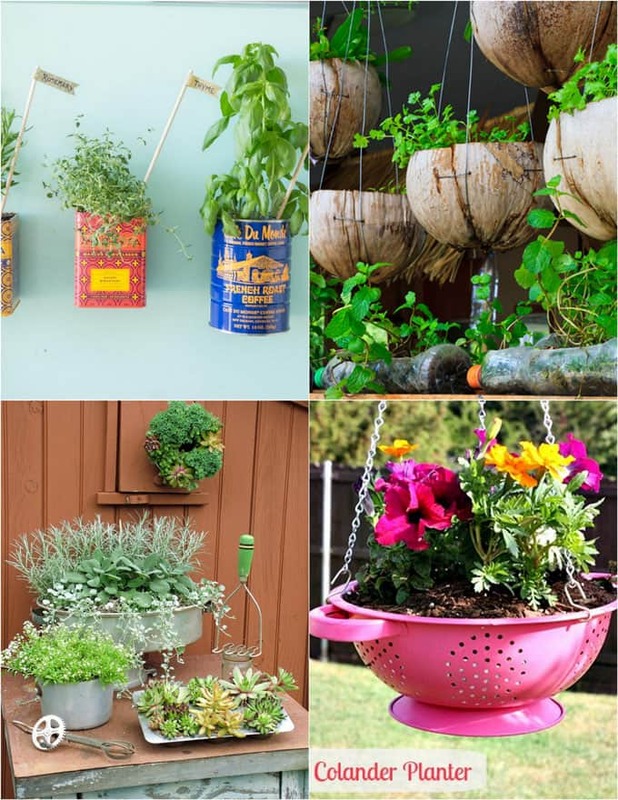 Vintage tea tins, colorful colander, misc cookware, and even coconut shells can all become planters! Group 5: Up-cycle glass or plastic bottles into DIY planter pots. 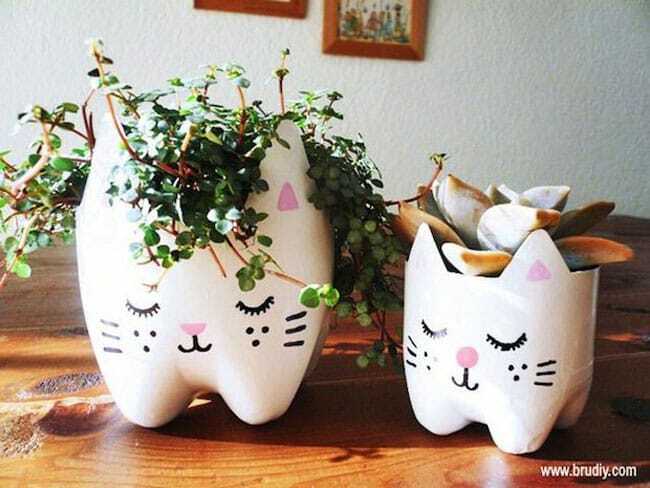 Love cats or not, this soda bottle planter is just darling! 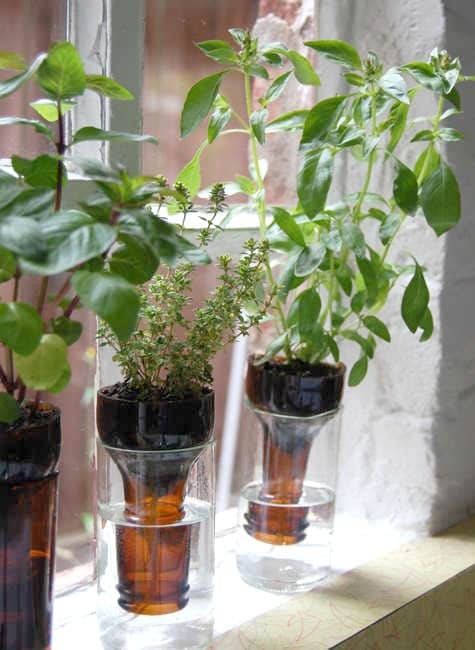 A wine bottle makes the perfect self watering planter and plastic bottles can work too! 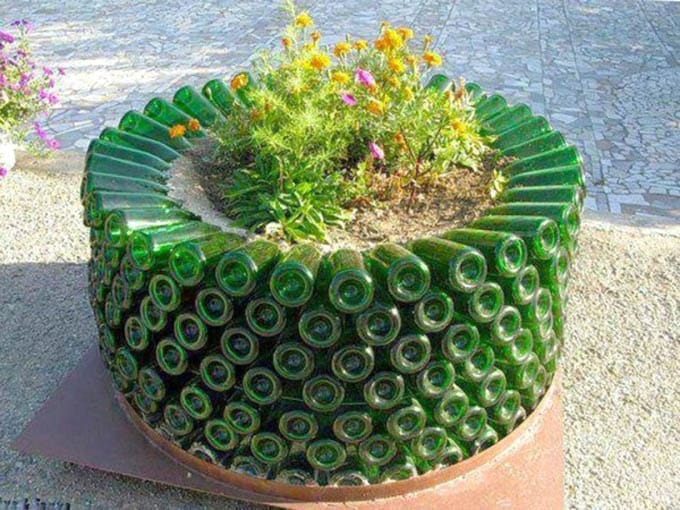 Make an epic planter out of lots of glass bottles. 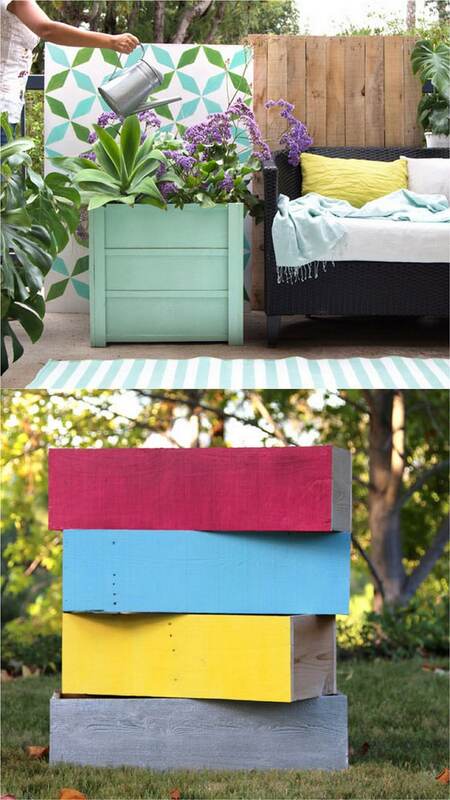 When a cute piece of furniture breaks, it may still have another life: turn them into DIY planters and plant stands! Such a wonderland where flowers grow out of chairs, dressers, and drawers. 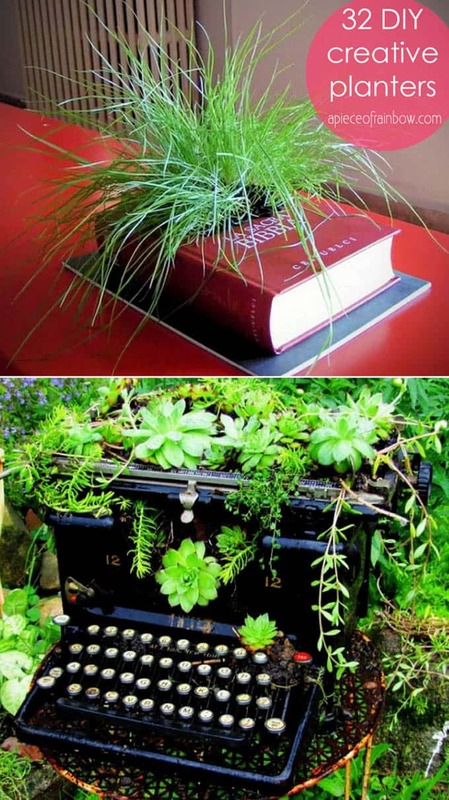 Now I am really stepping into a fairy tale: a book planter, and a typewriter planter. Group 7: Old garden tools and objects into DIY outdoor planters . 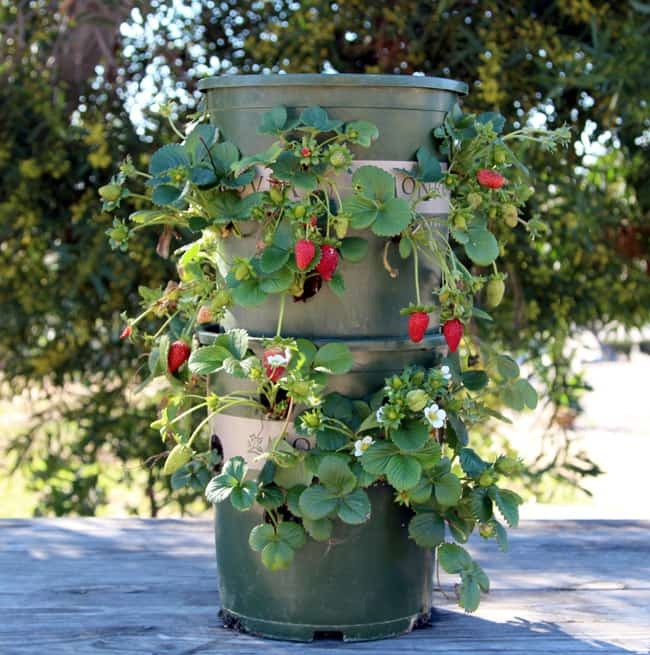 Make a strawberry tower from plastic nursery pots! 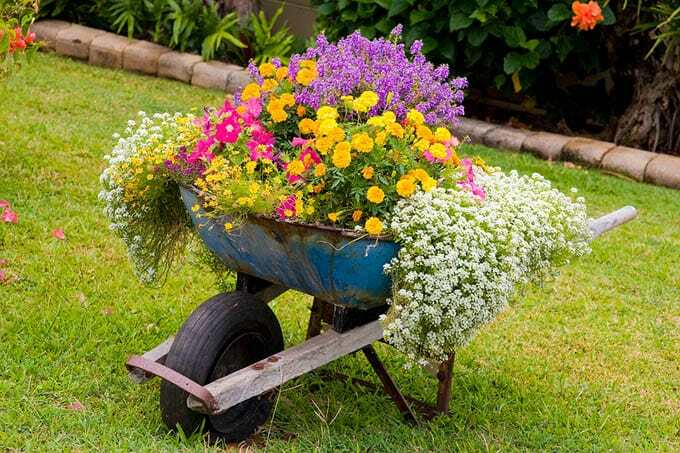 A wheel barrel with drain holes drilled through makes a rustic charming large planter for outdoors! 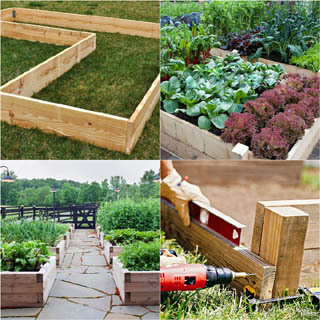 Planters can be made from rain gutters either hung with cables, or painted and attached to fence, or a painted drain pipe. Group 8: Wood and pallet planters . 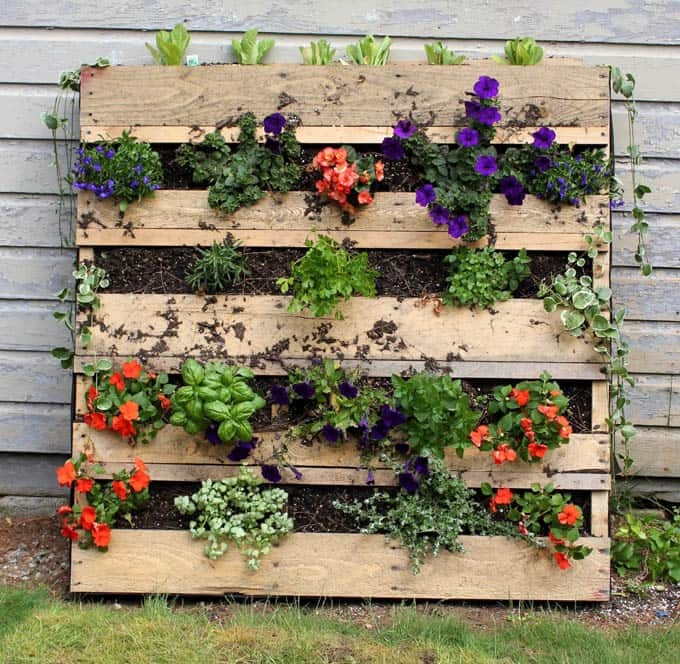 Pallet planters can be made in an instant here with weed barrier fabric to help hold the soil. 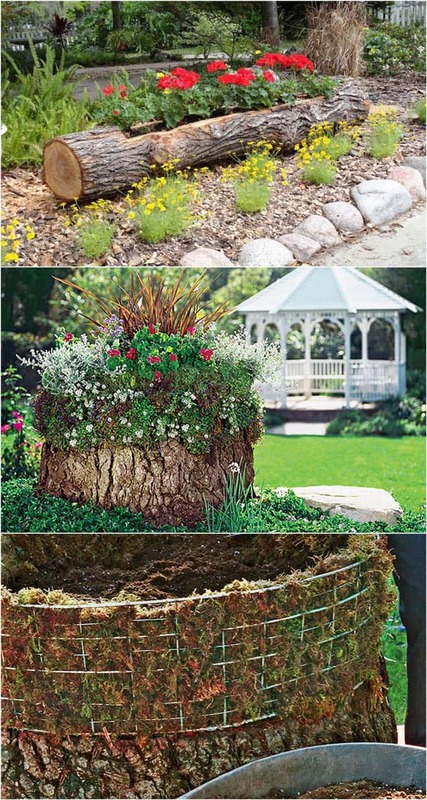 If you are lucky enough to have tree stumps or logs, definitely check these DIY planter ideas out! Last but not least, concrete is a great material to make DIY planters of all shapes and sizes, for indoors and outdoors, like these geometric ones. 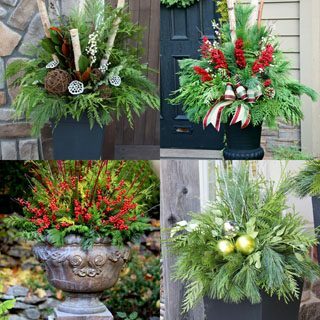 I hope these ideas will inspire you to create some beautiful and bountiful container gardens this year! See you next week! OMG This is so awesome!! I have to say I think the boots are my favorite!! Such a cute idea!!! I am definitely going to have to try!! thanks for sharing! These are all stunning and make me wish I had a garden. I love it so much! Oh I love all of these! 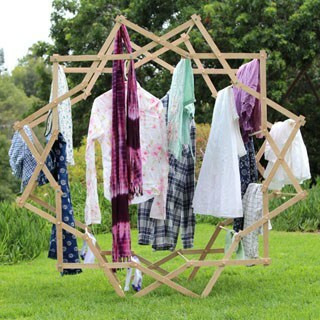 It’s making me want to DIY my own version! Oh wow, these are so creative! 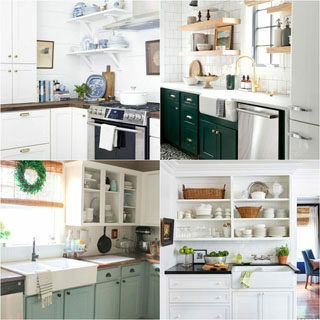 I love the idea of repurposing items! 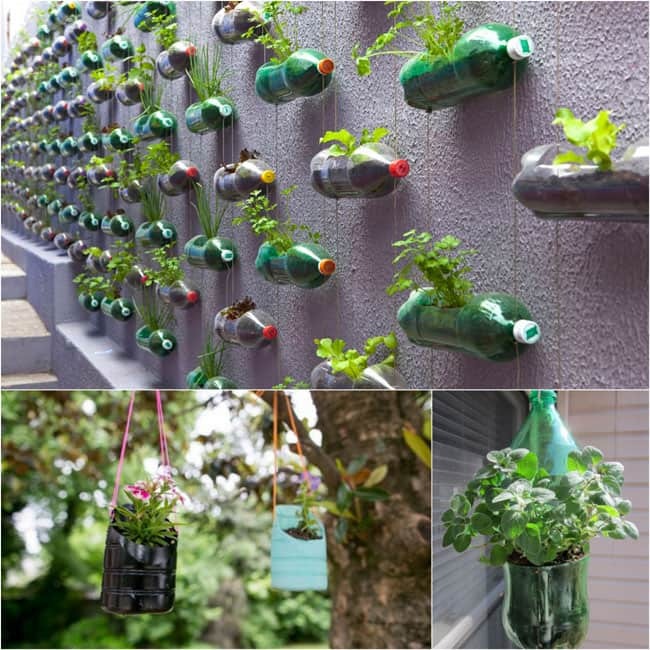 So many awesome ideas and I love that most of the stuff is recycled. Personally loving the concrete planters and the use of the old soda bottles! The type writer plant!?!! I LOVE them. I’m a news reporter so it’s right up my alley. I would like to know what kind of paint to use on tires. paints for exterior fences, or exterior spray paints! I love these ideas. I pinned the parrot. I would love to have that hanging in my garden. This is my first visit to your site and you’ve totally inspired me! I realize I’ve been overthinking an upcycle project I’ve wanted to undertake.I’ll send you a pic when I’m done, but (hint) it has to do with empty 20lb plastic jugs of kitty litter. So thank you! I love the rain boot planters!! I never really realized that you could technically turn anything into a planter. I’m going to start looking at my household items in a different light now! Oh my goodness, I love this! I’ve been super obsessed with planters lately. I need to do more planting. These are such great ideas! My favorite ones are the soda bottles recycled – especially the ones painted like cats. So adorable! I love those concrete modular planters! They look so geometric and hip. Can it be summer, like, right now?! 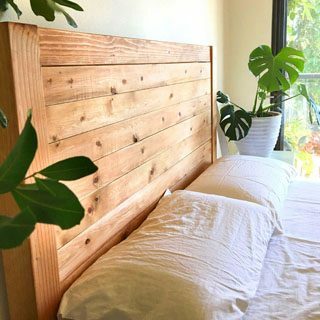 I love the concept of upcycling in this post! So smart! Lovely and quite useful ideas! 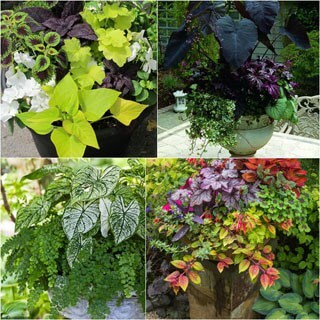 I’m still planning my flower garden now and here are few planters that will look great at my place. I’ll definitely recommend your post to my sister. She’ll be glad to add some new planters in her garden too. Thank you for sharing! Just been on Pinterest after a while and saw this! Straw hats are perfect for me as I have a few old ones lying around and am just in the middle of doing up our courtyard garden in a woodland and vintage theme! Was thinking of ideas to do up an old shed so going to use hats? 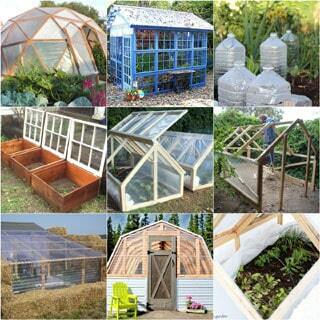 So many awesome ideas and I love that most of the stuff is recycled. I love those concrete modular planters!